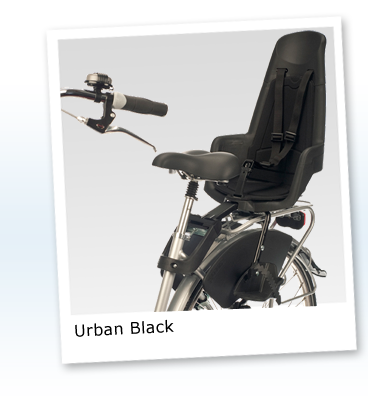 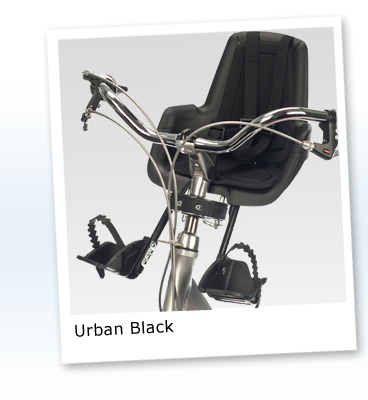 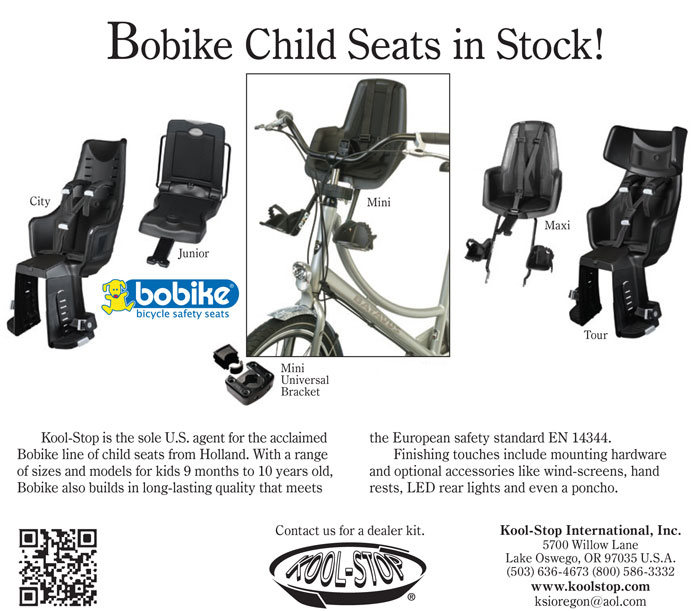 Visit BobikeUSA.com to order your new Bobike child seat. 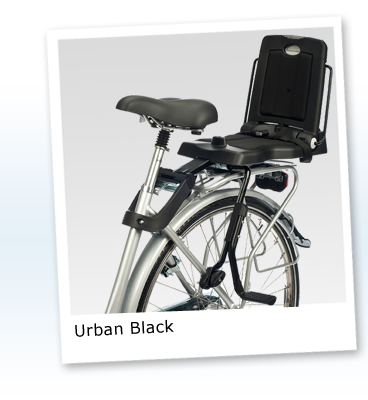 Bobob line supplies the Bobike Mini for children aged 9 months to 3 years (weight up to 15 kg) and the Bobike Maxi for children aged 9 months to 6 years (weight up to 25 kg). 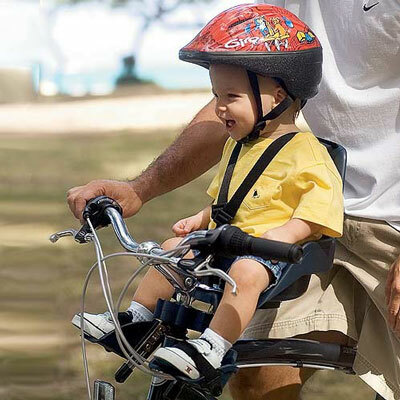 Bobike's super-safe child seats combine handsome design with unprecedented comfort, thus enabling children aged from 9 months to 6 years to share fully in the joys of cycling. 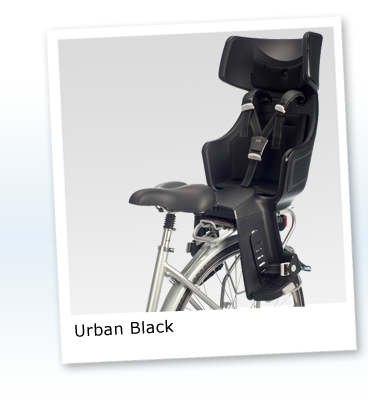 Whether in front or behind, your child is always safe in the saddle. 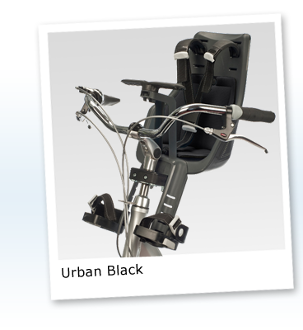 The Bobike Mini is mounted on to the handlebars and clamps on the goose neck from 20mm to 28mm in diameter.